YEAR IN REVIEW — In October, the city of St. Helens hosts its annual Spirit of Halloweentown festivities — and this year was no exception. The month-long series of events, shows, displays, photo ops and celebrity visits often puts St. Helens on the map as a Halloween destination. 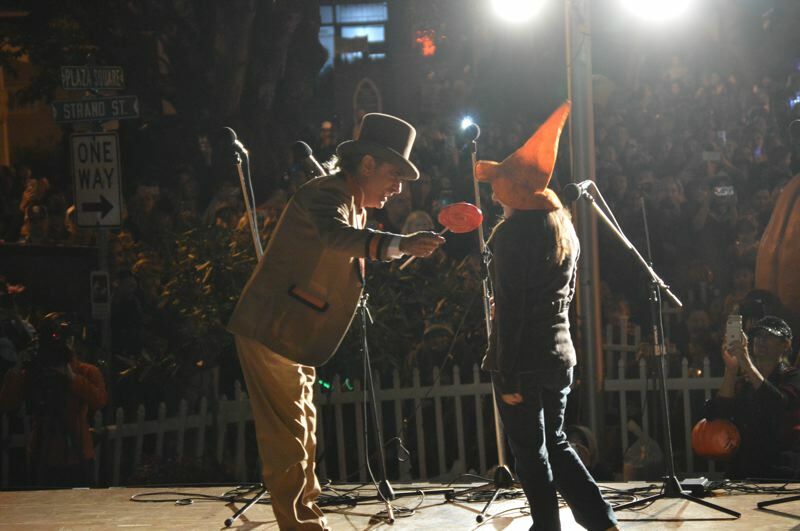 The event pays homage to the 1998 Disney Channel movie, "Halloweentown," that was filmed in St. Helens, and drew unanticipated record crowds in 2015 when one of the movie's actors, Kimberly Brown, attended the event. In years following, Brown has continued to attend, drawing fans from around the world to the city to take part in the festivities. The city has regularly negotiated contracts with Brown through their contracted event planner Tina Curry, of E2C Productions, based out of Vancouver, Washington. This year, the road leading up the event proved to be a bit rocky, however, when Brown's agent, Diane Yslas, and Curry seemed to have a breakdown in contract negotiations. Email records, released by the city at the Spotlight's request, revealed a series of ongoing conversations between Yslas and Curry that resulted in a rift between the two. Brown's agent attempted to request greater compensation for her client in those conversations, which the City Council ultimately felt uncomfortable paying. The city estimated that a requested $30,000 fee, $2,000 down payment, a 15 percent brokerage fee, a $60 per diem and first-class travel arrangements, among other payments would have cost the city close to $40,000. The emails also revealed critiques by Gemstone Talent by the way past events were handled in 2017 between the St. Helens Economic Development Corp., or SHEDCO, and Curry. In August, the talent agency sent a cease and desist letter to the city, alleging the city had engaged in misleading advertising about Brown's appearances and harmed her reputation. After the Spotlight and other news media outlets reported details about the rift, and announced Brown wasn't returning, Craig Marquardo, a Scappoose resident with experience in the film industry, stepped in to revive conversations between Brown and the city and acted as a mediator for the two parties. Ultimately, Brown appeared at the annual event and was joined by other actors from the film, including Judith Hoag, Joey Zimmerman, Emily Roeske and Judith Ford, who also appeared last year. This year marked the 20th anniversary of the movie's filming, and actors Robin Thomas and Michele Marina attended for the first time. While crowd sizes for individual events appeared smaller this year, Curry explained that attendance was spread throughout the month instead of concentrated on individual events. A pumpkin lighting ceremony was held each weekend with at least one celebrity host, including an appearance by Reggie Lee and Sasha Roiz from the TV show "Grimm," which Curry said drew more evenly dispersed crowds.